Chelsea midfielder N'Golo Kante has been chosen as the Football Writers' Association Footballer of the Year. The Blues' Belgium winger Eden Hazard was second, with Tottenham and England midfielder Dele Alli third. 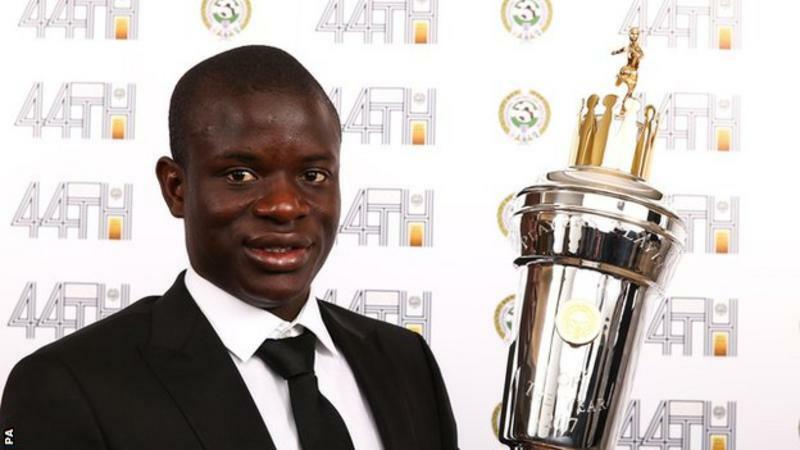 It follows Kante, 26, being voted the Professional Footballers' Association Player of the Year for 2016-17. The France international helped Leicester City win the Premier League title last season and is close to doing the same with Chelsea. The Blues, who have four top-flight matches left, lead the table with a four-point advantage over second-placed Spurs, who have played a game more. When it's your time to shine, you shine. Someone told me that Idrisse Guye will win it. Anyway, congrats Kante. Lol. Not my man Wale. Another CE brother who was so passionate about his country man from Senegal. Last edited by green4life on Tue May 09, 2017 2:12 pm, edited 1 time in total.